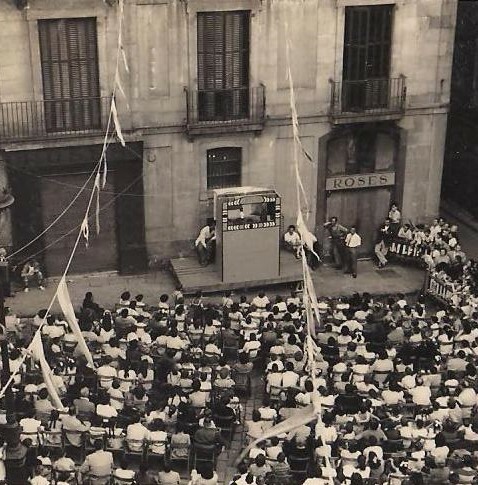 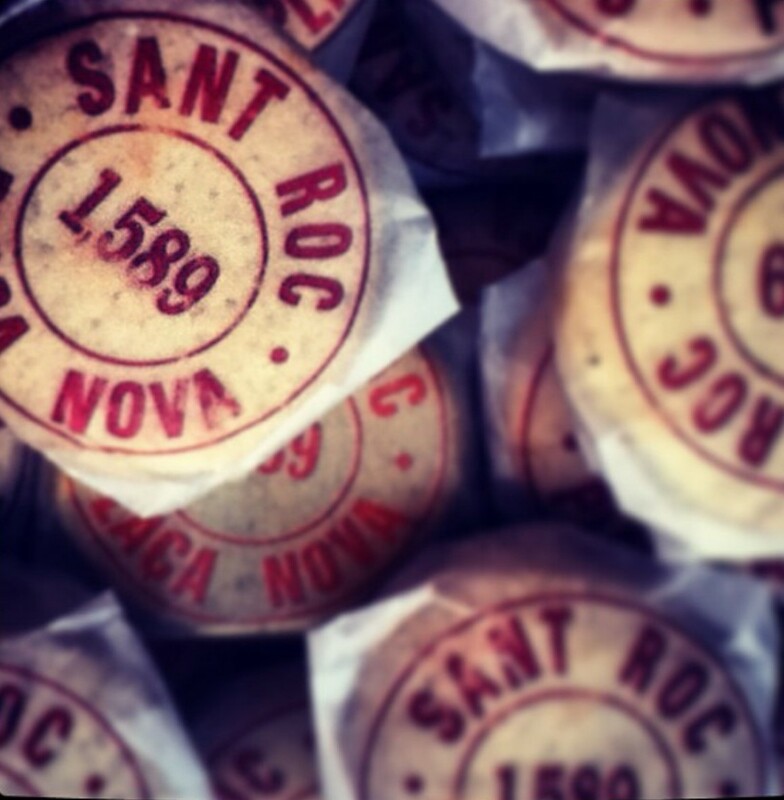 The Feast of Sant Roc, held in the Plaça Nova its surrounding streets since 1589, have set an event program in which the traditional events included to the celebration for over four hundred years are the backbone of the festive liturgy. 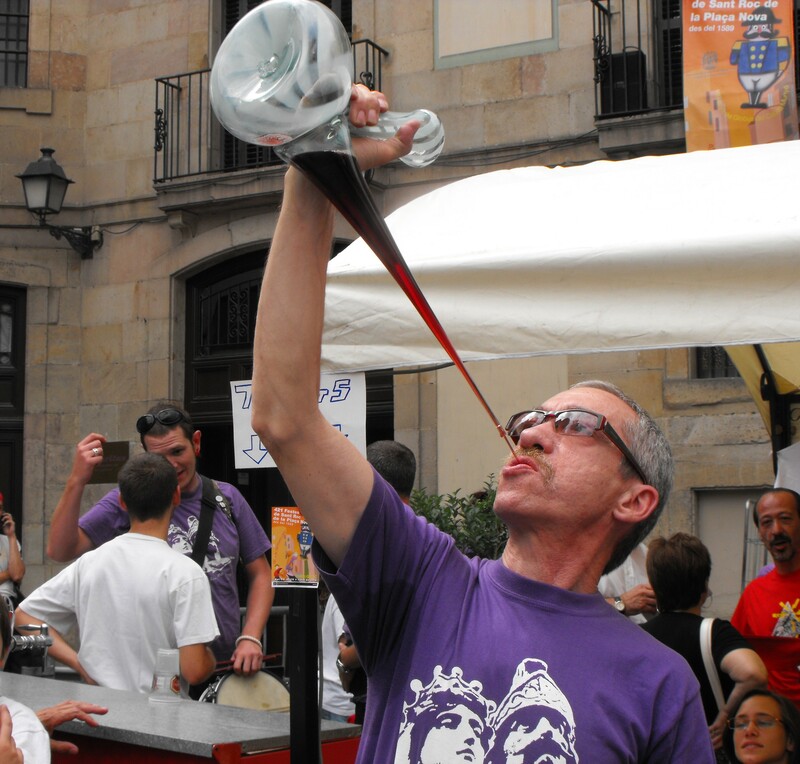 The current feast has this twofold tradition of Barcelona, ​​heritage of the city, and neighborhood feast that for four centuries and a quarter has been the Vilanova dels Arcs, the Cathedral and the Gothic Quarter. 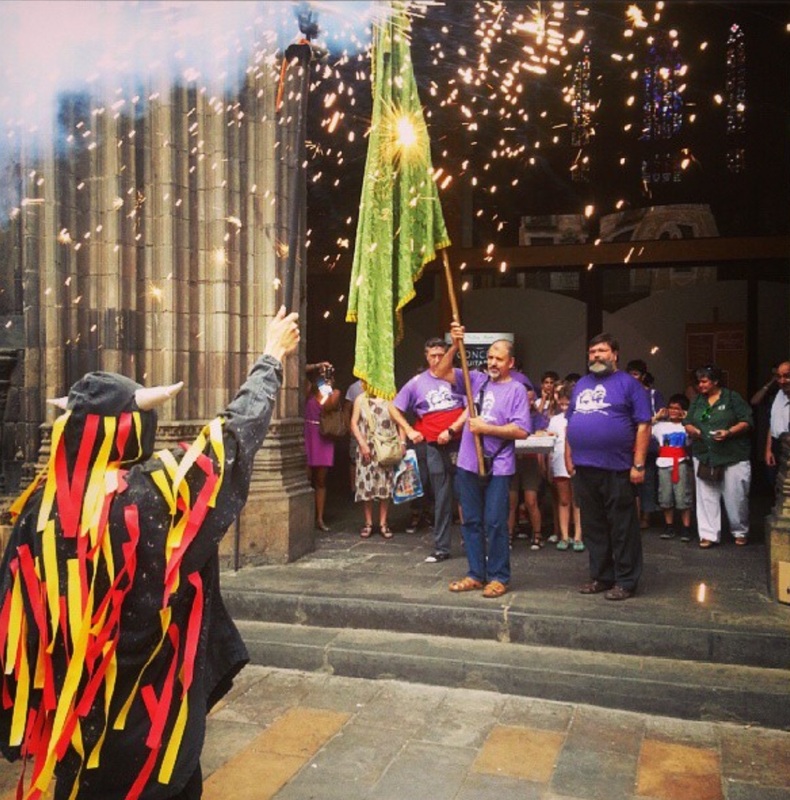 Thus the reiterative celebration of the tradition is configured with a series of activities which make Sant Roc of Barcelona unique. 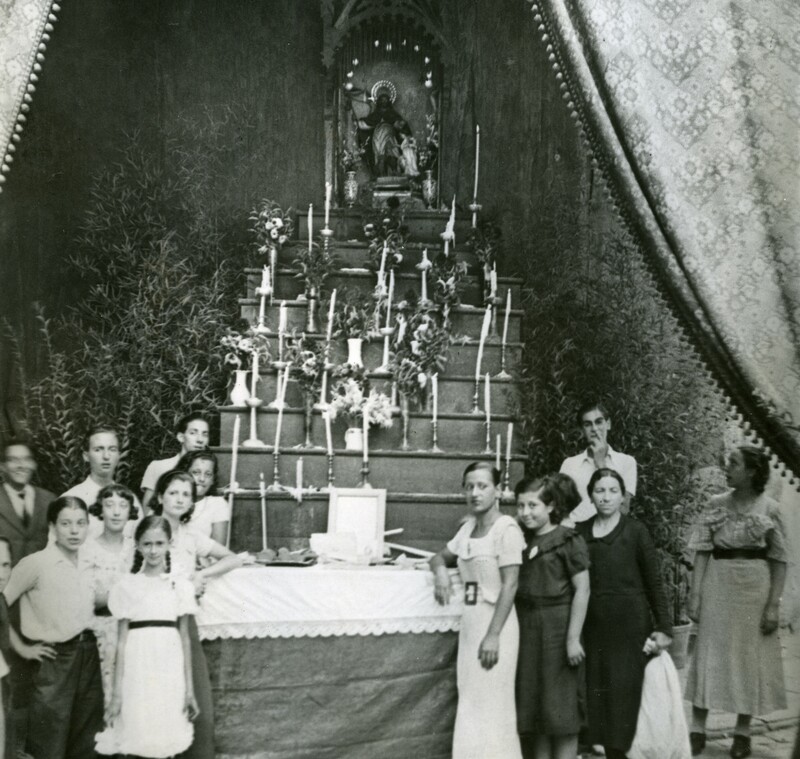 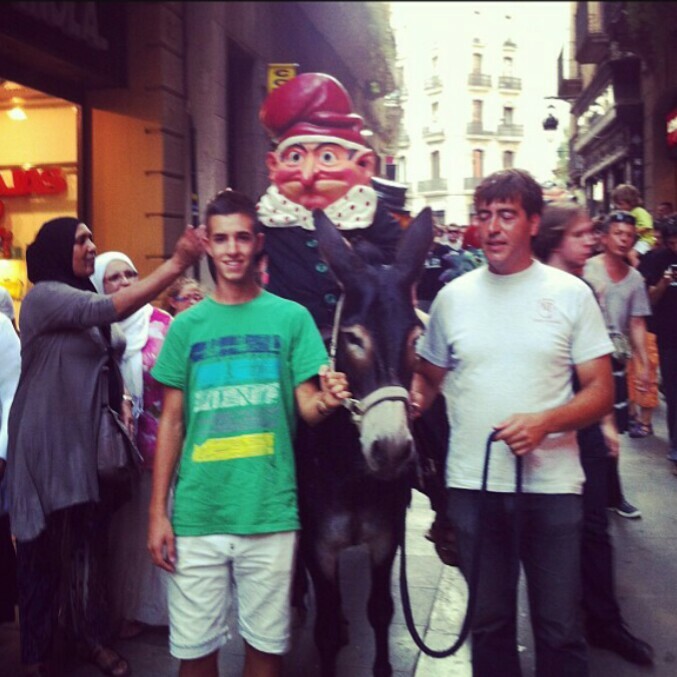 The feast is celebrated for four, five or six days of the week of the day of Sant Roc (August 16), including the weekend and the day of the Mare de Déu of August (15th August). 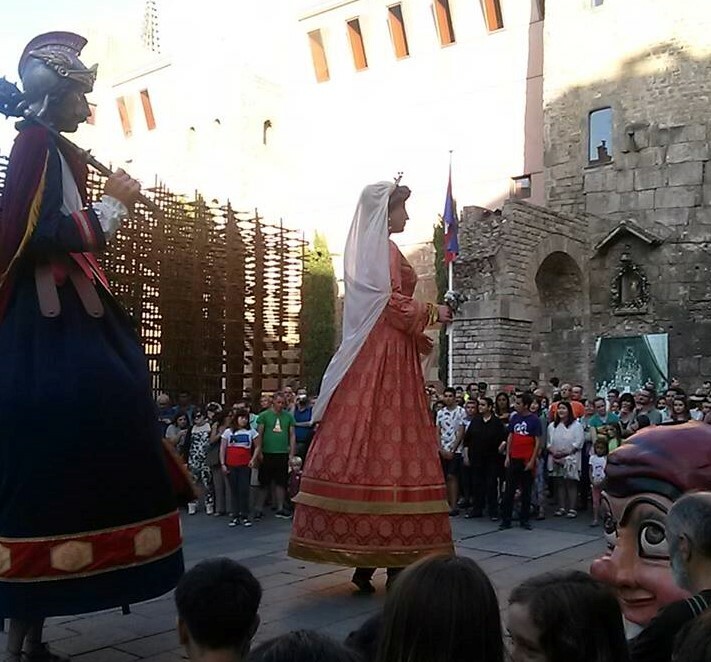 The feast follows a protocol with a repeating scheme: the first day of celebrations begin with the traditional inaugural parade around the neighborhood: Cu-cut top of the donkey, and is followed by the Raising of the Heraldic Flag of Sant Roc, followed by the centennial "Cucanya" of Plaça Nova and the start of the Sardana dances. 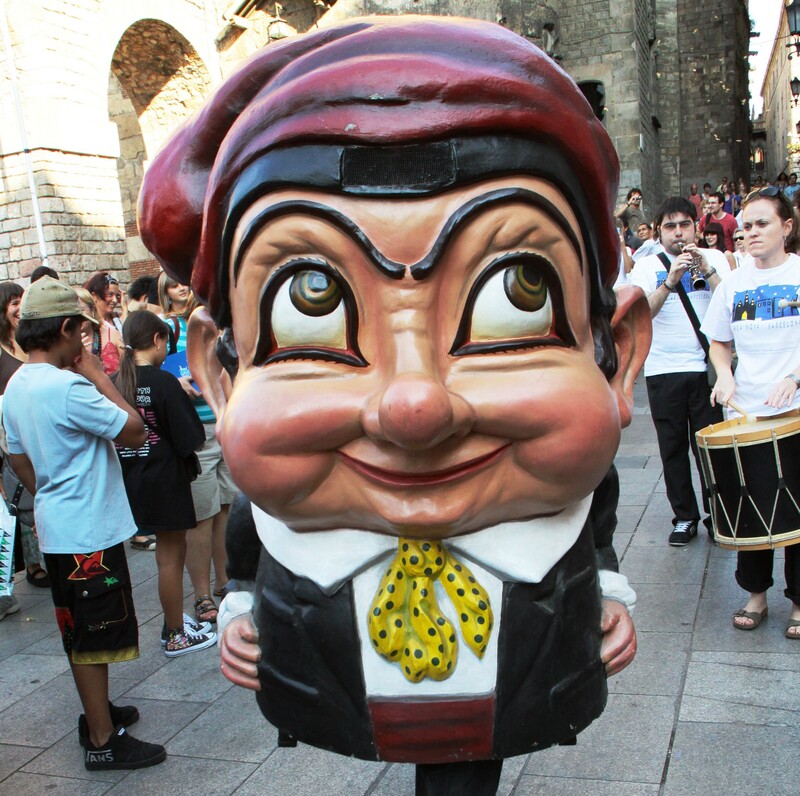 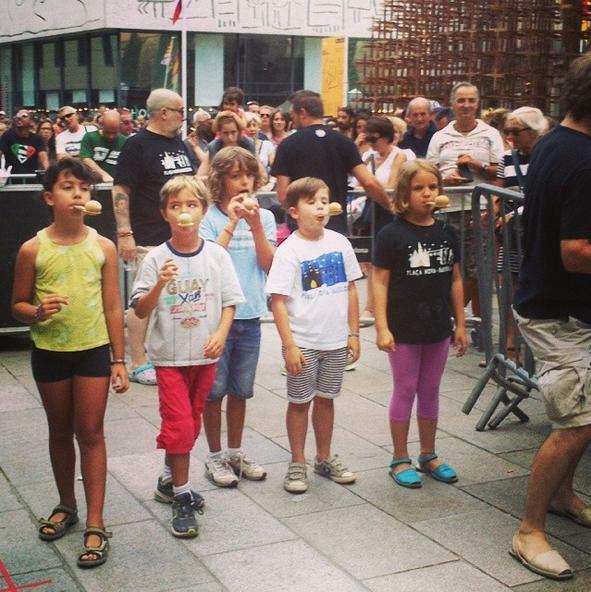 On the 15th, day of the Mare de Déu of August, the afternoon is reserved for the Gathering and Dance of the Giants. 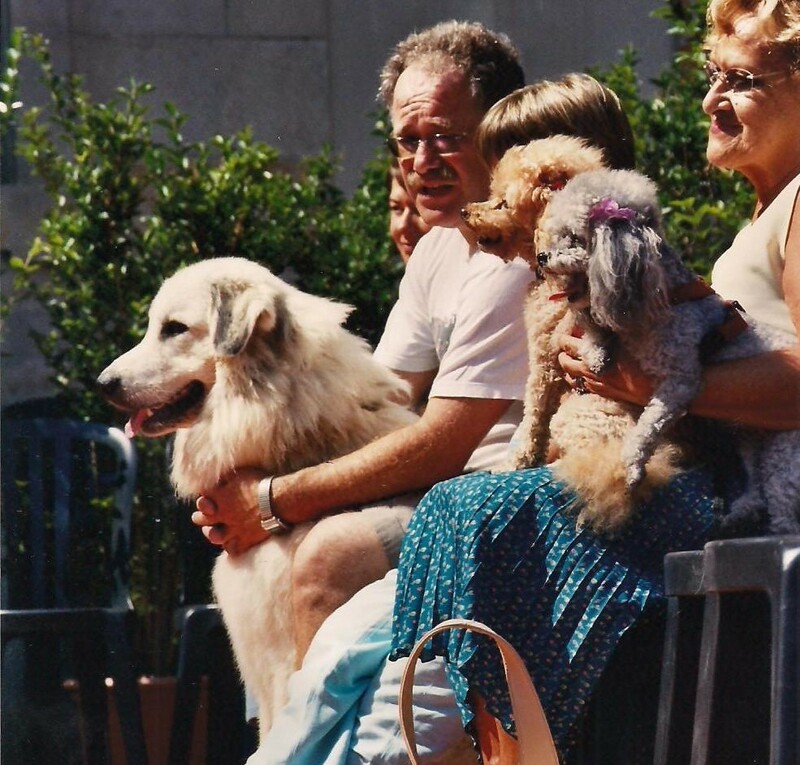 Also on the 15th or on the 17th of August, according to the calendar, is the day of the celebration of the Feast of the Dog. 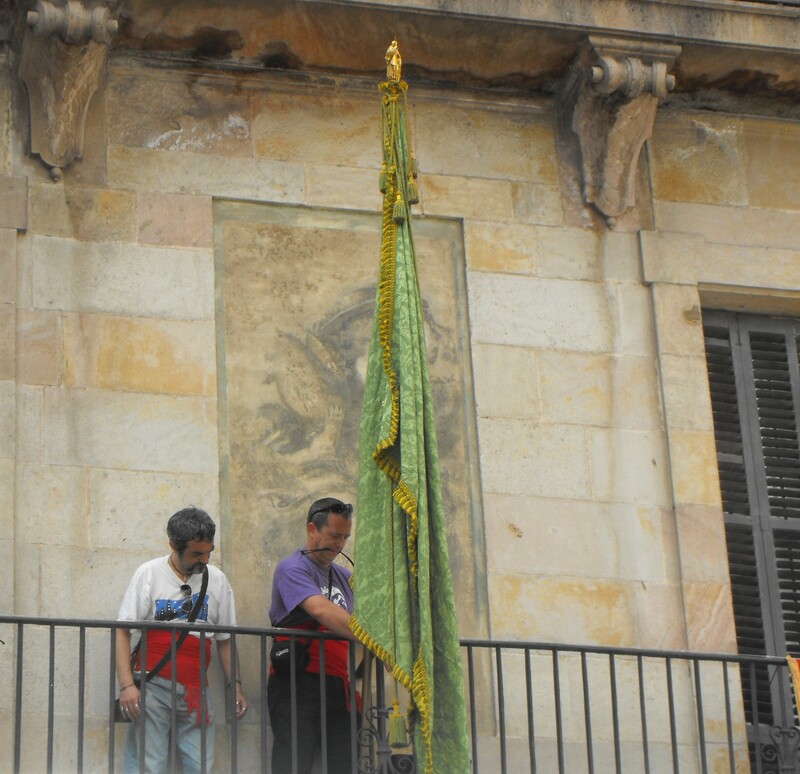 The day of Sant Roc, on August 16, starts early in the morning with the Gran Tronada Despertada (Great Thunderstorm Awakening), followed by the Procession of Sant Roc, then the solemn sung Mass with the blessing of the Panellets of Sant Roq, the worship the relic of the saint and singing of "Joys" to praise Sant Roc in the Basilica of Santa Maria del Pi, continues with the traditional visit and dances in honor the elements of the courtship at the Episcopal Palace and the placing of the Green Flag on the main balcony of the palace, the floral offering to the image of Sant Roc at Plaça Nova, the Centennial Ball of the Giants of Sant Roc of Plaça Nova, the dances of the other festive elements of the Parade, the Porró Llarg, the "Cucanya" of Plaça Nova and the dancing of sardanas. 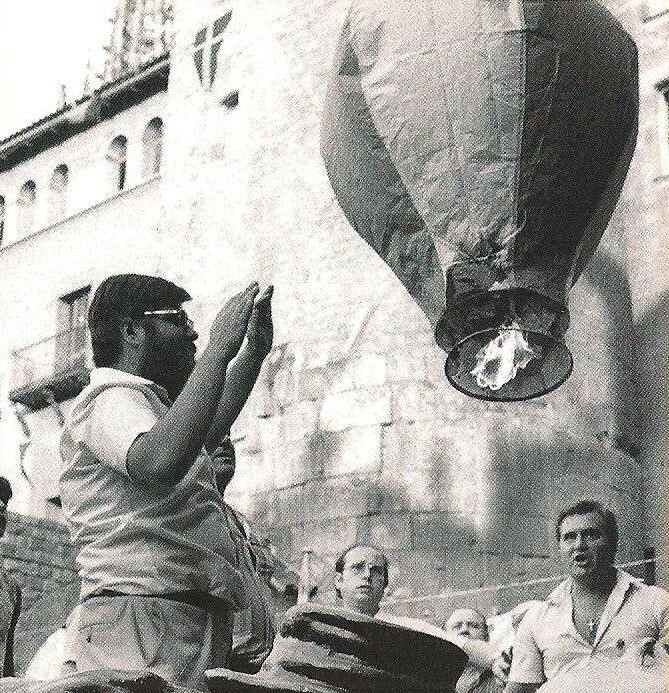 The last day of the feast, during the half-time of the children's festival, is the time of the take off of the Great Balloon Captain Munyon. 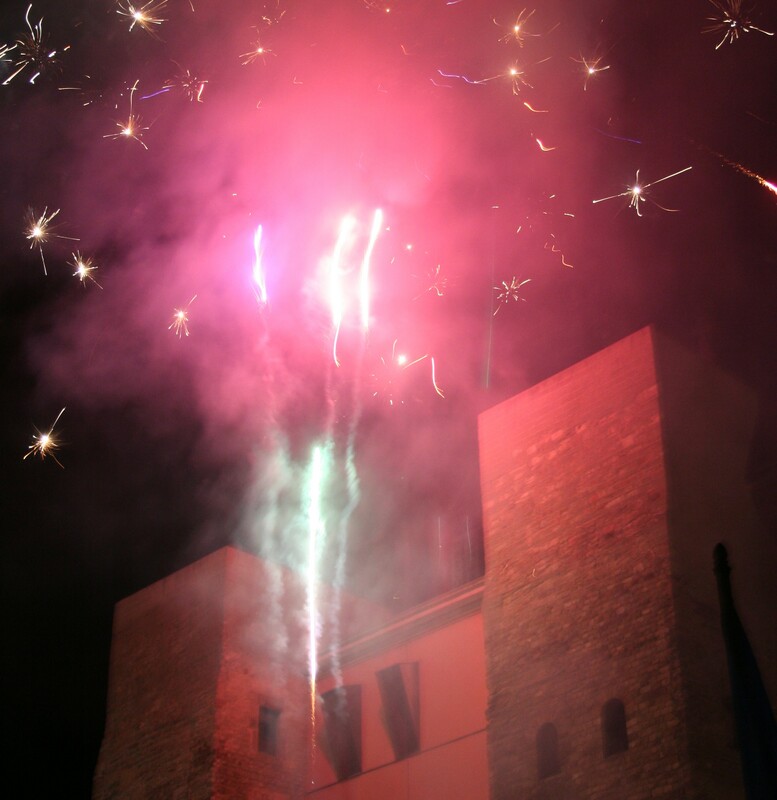 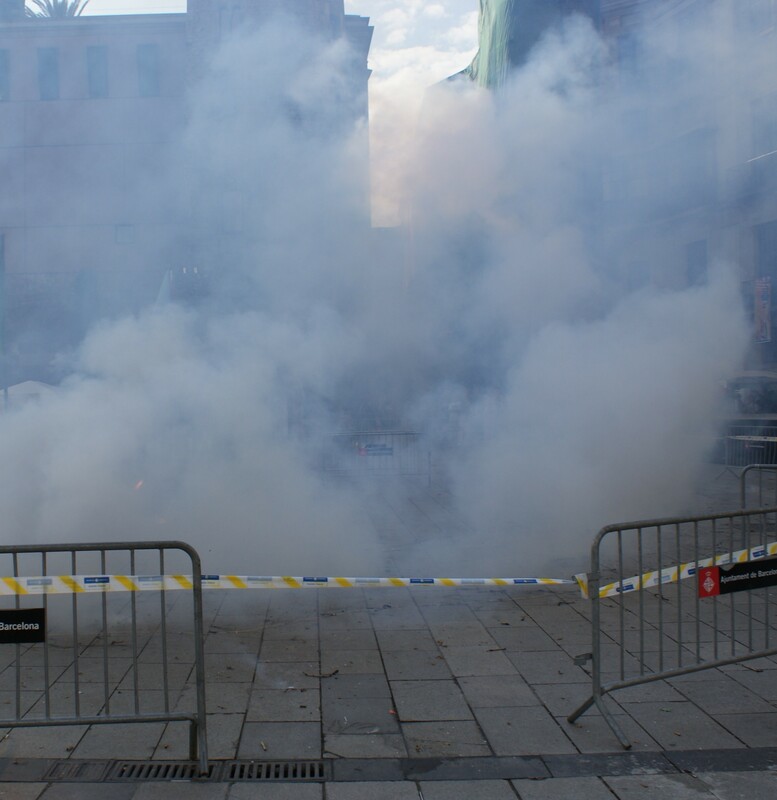 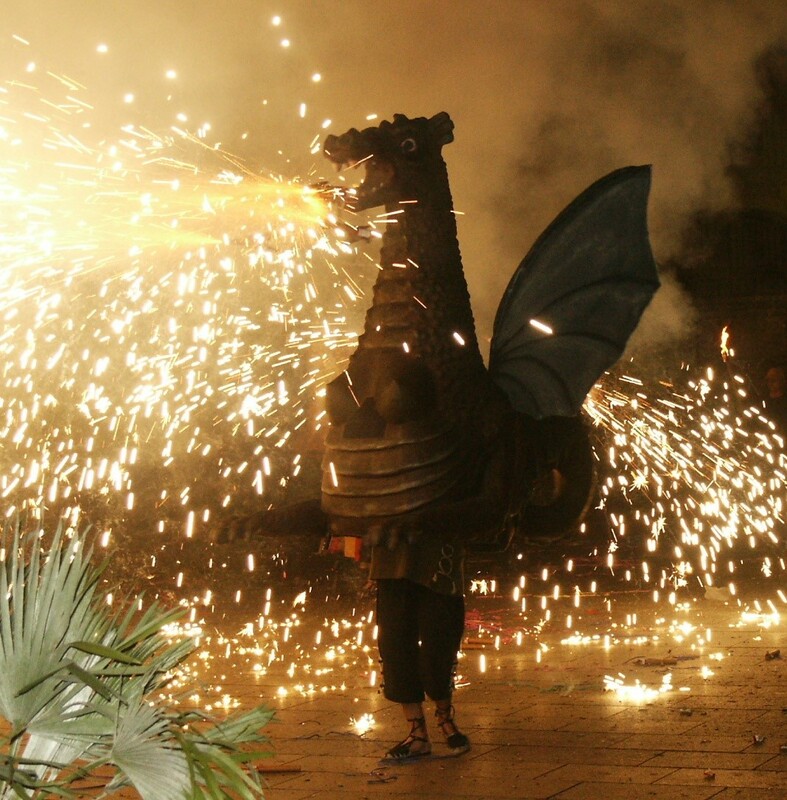 Also on the last day of the feast, during the evening, is the day of the "Correfoc" and of the traditional Fireworks, which is installed at the Avenue of the Cathedral. 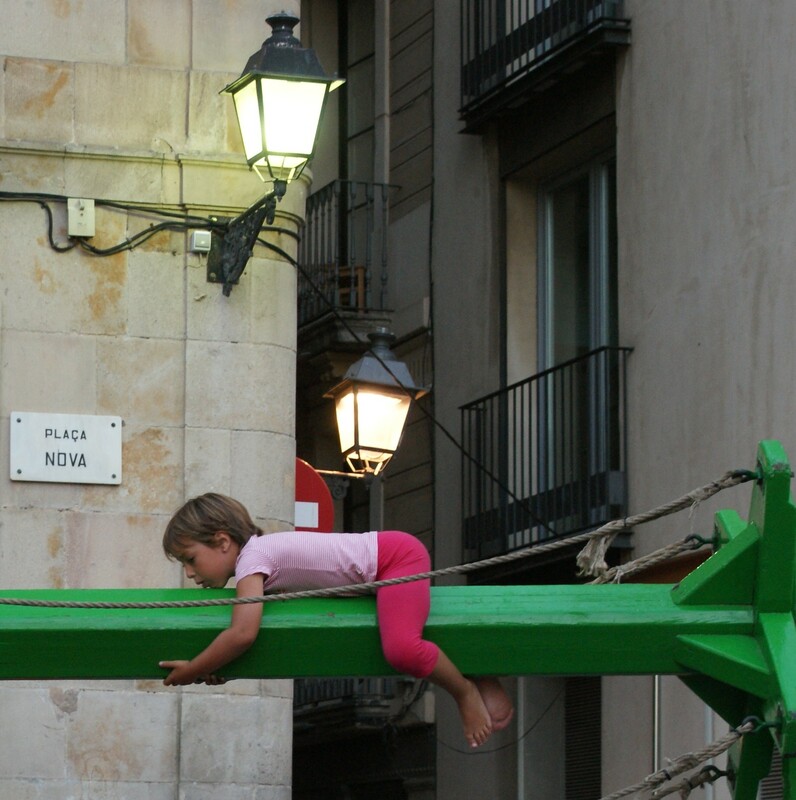 The rest of the feast is structured around participatory activities, collaborations and other organizations and spectacles: the craft fair, the evening and night dances, concerts by emerging groups, the singing of "havaneres" with burned rum, children's drawing contest, the afternoon games, traditional and popular street games -sack races and egg-and-spoon races, break the egg game and the "Cucanya" (greasy-pole) of Plaça Nova- the devils workshop for children, dog training exhibitions, the Catalan Feast with groups of popular culture such as hawks, gypsy dances, stick dances, "moixigangues", etc, the children's festival with magic shows, clowns and puppets, the performance of the Catalan Folk Dancers, the sardanes or the "Va Tocada", that preceeds the "correfoc".